Rowland started from pole and led the first 18 laps of the race en route to his and Nissan’s first podium finish in the championship. 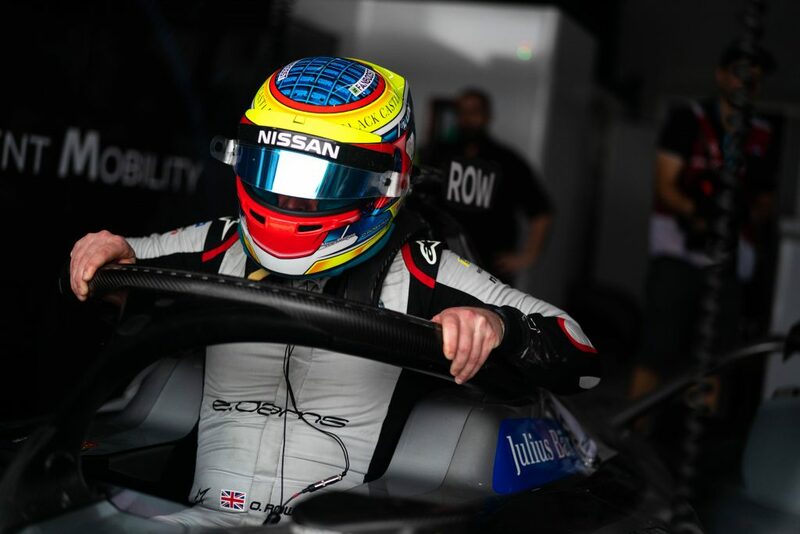 The Nissan e.dams team recorded its best points finish of the season with Rowland’s teammate Sebastien Buemi storming from the rear of the grid to cross the line in sixth. 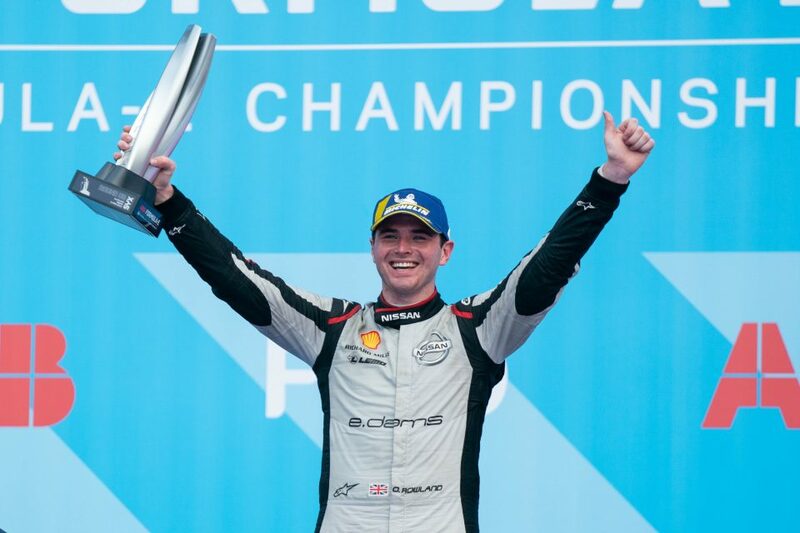 The podium result is the first for Nissan who joined the championship this season to demonstrate the performance side of Nissan Intelligent Mobility – the brand’s vision for changing how cars are driven, powered and integrated into society. 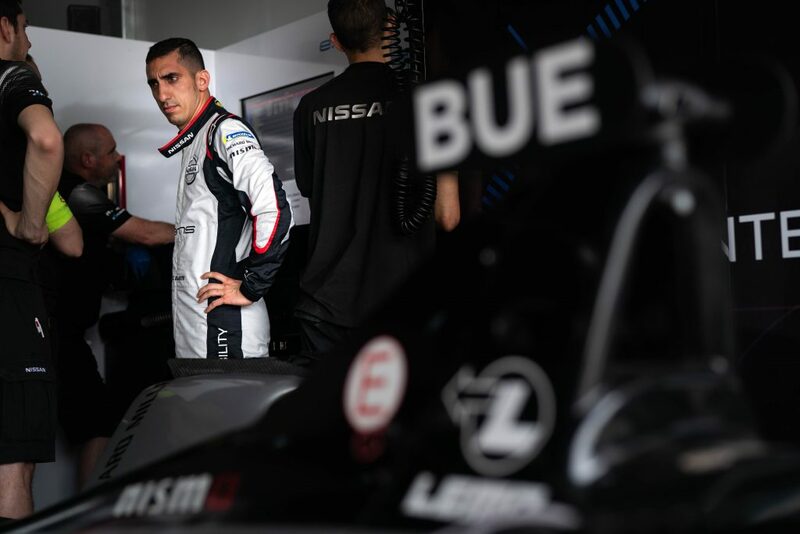 Buemi was also fastest in the qualifying group sessions with Rowland coming out fastest overall in the Super Pole session which decided the top six starting positions. Buemi’s charge began in the pit lane after an incident in Super Pole. The Swiss racer nosed into the barrier during his Super Pole run and subsequently had to relinquish his starting position in fifth due to the car being held in parc ferme by Federation International Automobile officials. The delay forced Buemi to start from the pit lane, and he began a mighty charge through the pack, gaining 16 positions during the 45-minute race. Post-race, however, he was given a 10-second penalty for contact – setting him back to eighth place. 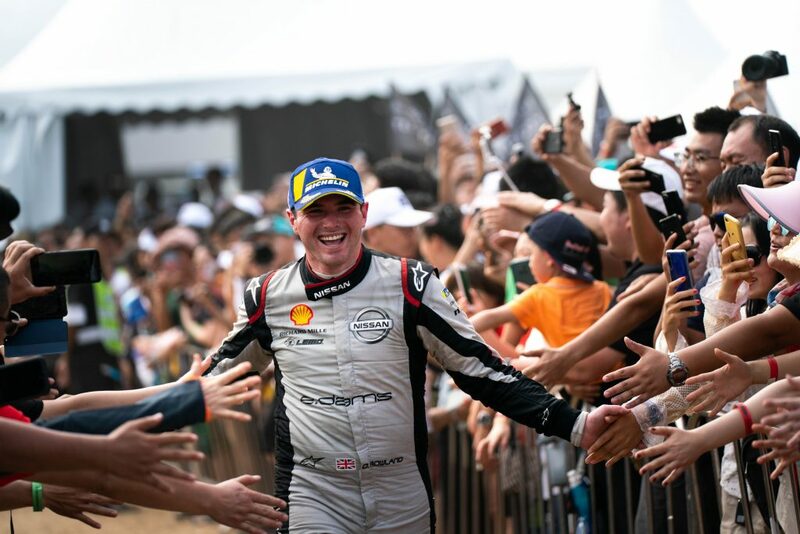 “We’ve come so close in the past few race weekends so finally scoring Nissan’s first podium is very rewarding for the entire team,” said Michael Carcamo, Nissan global motorsports director. 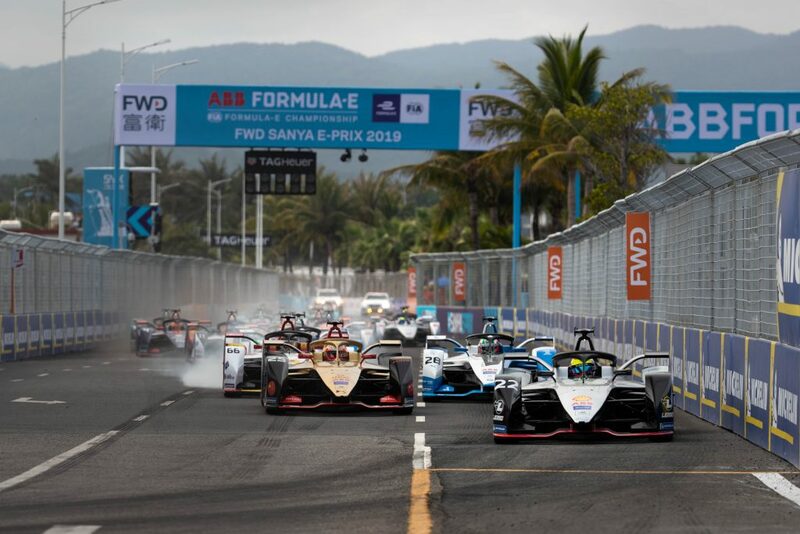 “There has been six different pole-sitters and six different race winners so far this season – Formula E is undoubtedly one of the most competitive championships in the world. “Now we’ve scored our first podium – we raise our sights to get to the top step of that podium. We know that it is going to be a big challenge. Nissan e.dams founder Jean-Paul Driot was full of praise for both of the team’s drivers in today’s Chinese race. “I’m certainly very proud of Oliver. This is his rookie season, and he has continued to improve with every race weekend,” said Driot. “We had a great points haul today, but we certainly want more – Sebastien certainly had the pace today to also challenge for the win. His drive through the field today was impressive. “It was a good race. I got a good start and led the race for a long time from pole. “I was struggling for some pace in parts of the race, and I decided to save a little bit of energy, but ‘Jev’ (Jean-Eric Vergne) surprised me a little bit. After the red flag, I was very strong, but I had to take the points today. “It was great to take my first podium and come home with 21 points. I missed the podium in Mexico, maybe missed the win in Hong Kong and finally today I scored the podium. Had I scored those other results I might have taken a bit more of a risk to get the win today. “My pace today was very good, but when you start at the back, it does make it tough. “I not only started at the back in the pit lane but they didn’t release me until the last car was already quite a long way up the road.